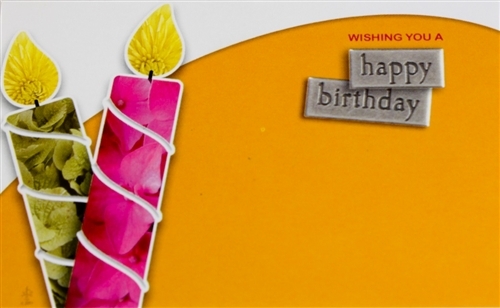 This item features a orange/white background with birthday candles on the left side. Top says "Wishing You a Happy Birthday". This item has room to write your own message and personalize.